He's a great agent and an even better person! immediately felt a connection as he was incredibly warm, helpful, and honest. expectations he had of us which made the process feel like a true partnership. he provided at that difficult time and throughout the entire process. you, Larry for all you've done for us! 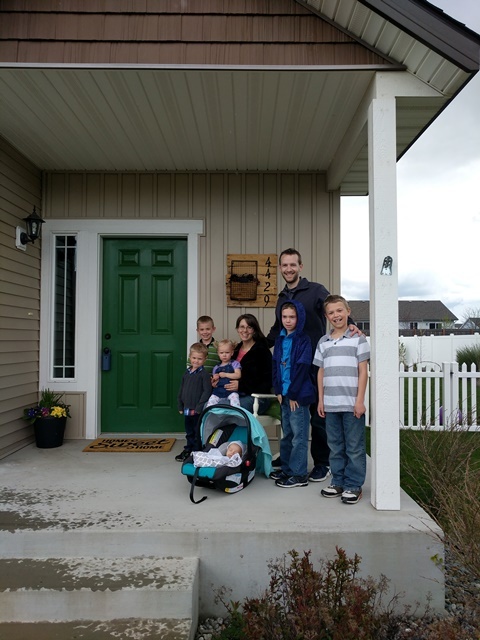 Buying our house in Idaho is one of the more significant events in our lifetime and we want to express our appreciation to you for making it such a positive and memorable experience for us. You were very patient and helpful to us to show us each and every property we requested, and you worked with us through some discouraging periods of time when we were worried whether or not we could actually find the type of house we were looking for and still stay within our budget. All the work you put into the process paid off in the end and we absolutely love our new home! I will definitely recommend you to anyone I know who is looking to buy or sell a home. An all around proactive real estate agent! “My husband and I were considering purchasing a duplex to supplement our income, and were interested in Rathdrum, CDA, Post Falls or Hayden, Idaho. We were particular about location, surrounding neighborhoods, rental history, and of course condition and price. Larry was recommended to us, and after our first meeting, we knew he was the agent for us. Larry is very kind, approachable and straight forward---and as we soon learned,....also very much a go-getter!! We bombarded Larry with all sorts of things to help fine tune his search for us, and he was such a trooper in tracking down prospective properties!! He kept in constant contact with us --- emails/texts/phone calls, and even would take his own photos of properties for us to “preview” before setting up a site visit. He accompanied us to several pre-inspects, aided in hands-on inspections from crawl spaces to attics --- an all around proactive real estate agent !!! Larry would express our concerns/questions to selling agents, do research on rental histories, dig up condition reports to expose any potentially hidden items to address, and would not give up until we reeled him back in to start over on a different property. We worked him ----no, better yet,......”took advantage of him and his resourcefulness,” .......and he never lost a step. Larry is an outstanding realtor with integrity and a strong work ethic! We have been exceedingly pleased with Larry Frisbie as our realtor. From day one he has been honest and hardworking, committed to helping us find the perfect house that we wanted for our large family. He has always been lightning-fast to answer any phone calls or emails, set up house showings, and help us to understand our options. When it came time to make an offer, Larry helped us formulate the strongest offer possible that still fit within our budget. Together we finalized the details late in the evening, and Larry happily reported to us the next day that we beat out the other two offers and got the house at our offered price--which, in this competitive market, was a bargain. Larry is an outstanding realtor with integrity and a strong work ethic. You can depend on him to walk with you through the complicated buying and selling process of real estate. Thank you, Larry, for helping us to find and purchase our new home! We found Larry Frisbie with Windermere out of sheer luck. He agreed to help us find a home! My husband and I had a dream to move to Idaho. Thankfully we were blessed with a job opportunity in Coeur d'Alene to allow the move to happen, and we needed to quickly find a new place to live. We tried initially to rent but due to the competitive Coeur d'Alene rental market and additional costs that would be incurred for pet deposits, we soon realized it made the most sense to buy. We found Larry Frisbie with Windermere out of sheer luck. He agreed to help us find a home and we busily compiled a list of our top choices to view. Two weeks later we flew to CDA to meet with Larry and in 2 days he kindly chauffeured us to view approximately 20 homes! He was gracious and informative throughout the entire process, answering my incessant questions (given that we are first-time home-buyers)! After we had viewed the homes we determined our top 3 and Larry took us to view them again on the last day of our trip. We selected the best home for our needs and made an offer. Larry helped us through the whirlwind of paperwork and made the entire process as stress-free as possible! We were successful in buying our first home and I would highly recommend to anyone in the market to work with Larry Frisbie. He will go out of his way to answer your questions and help you throughout the entire process. My husband and I are so thankful to have found him! We recently met Larry Frisbie when he acted as our realtor in Coeur d' Alene ID. 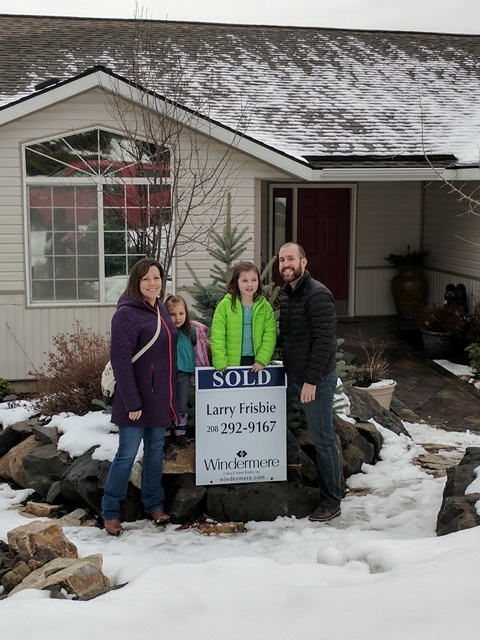 We recently met Larry Frisbie when he acted as our realtor in Coeur d' Alene ID. Bob was a general contractor for many years before retiring, and we have dealt with numerous realtors over the years. We want to recommend Larry as the best realtor we have worked with over the years. He is professional, ethical and it was like having a good friend helping you. He was very knowledgeable and proficient and very personable. He knows how to listen and understand what your needs and wants are and does his best to facilitate them. We were very grateful we chose him for our search, and we will recommend him highly to everyone we hear is looking for a realtor.